A very private tour of South Beach and cruise. 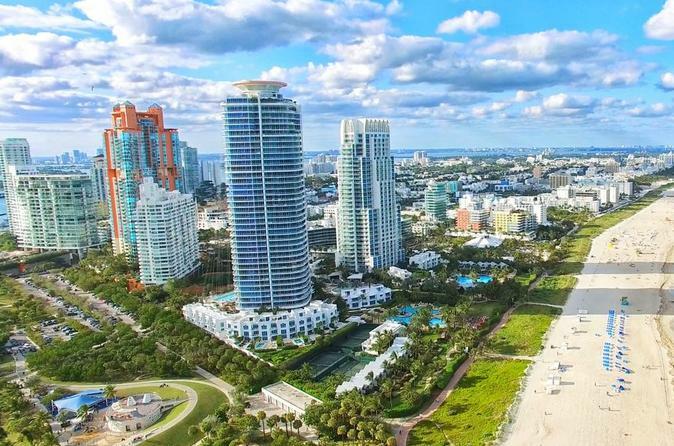 Pick up at your hotel or Port for a private tour of South Beach. Experience the excitement that journalists only write about. Put your toes very briefly into the vast Atlantic Ocean. Then transfer for a 90 minute cruise on Biscayne Bay to view the homes and condos of the rich and famous. A return to be arranged wherever you wish within Miami Dade County. Groups specially priced. The individuals are rated above. Included is a bottle of water and small gift, as well as passage on the 90 minute cruise. Transport will be gauged according to the number of people to transport. Does not include gratuity(tip) to the tour guide. A small tip is advised for the crew on the boat.